While Bernard Williams said, “Talent is a flame. Genius is a fire,” according to (some versions of) the Frankenstein monster, “Fire bad,” so we wonder how the creature would react to this bit of news. Ahead of the season two premiere, which focuses on artist Pablo Picasso, National Geographic has renewed its Genius TV show for a third season. Now, the network has announced Genius, season three, will tell the story of writer Mary Wollstonecraft Shelley, i.e. Mary Shelley, author of the Gothic novel: Frankenstein; or, the Modern Prometheus. A National Geographic scripted anthology drama series, each season of Genius tells the “untold” story of the world’s most intelligent innovators. The second season, Genius: Picasso, premieres on Nat Geo on April 24, 2018 at 9:00pm ET/PT. Alex Rich stars as young Pablo Picasso, with Antonio Banderas portraying the artist in his later years. Johnny Flynn, season one’s young Albert Einstein, will make a special appearance. Samantha Colley, T.R. Knight, and Seth Gabel return for season two. Clémence Poésy, Robert Sheehan, Poppy Delevingne, and Aisling Franciosi also star. Casting and a premiere date for the third season, Genius: Mary Shelley, will be announced at a date TBD. Learn more about Genius: Mary Shelley from this National Geographic press release. (WASHINGTON, D.C. / NEW YORK – APRIL 18, 2018) On the eve of the premiere of GENIUS: PICASSO on Tuesday April 24, National Geographic announced today that the third season of its acclaimed scripted anthology series will bring to life the myth maker and towering literary figure Mary Shelley. From Fox 21 Television Studios, the new season will again be executive produced by Brian Grazer and Ron Howard’s Imagine Entertainment, MWM Studios and EUE/Sokolow, and will premiere globally on National Geographic in 172 countries and 43 languages in 2019. 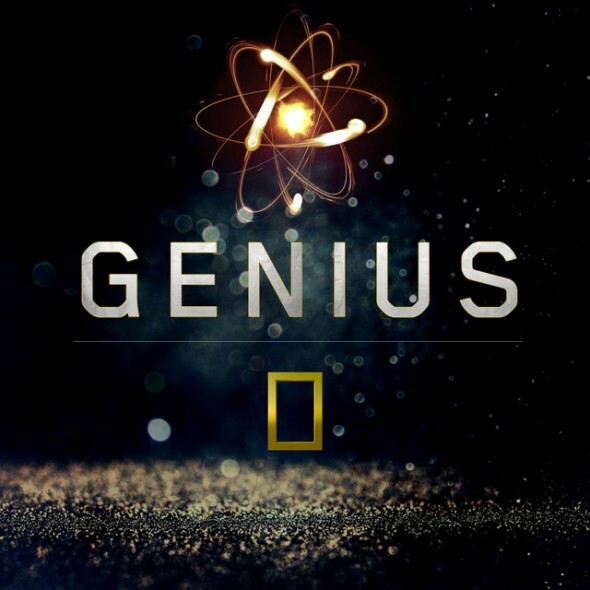 The first season of GENIUS was watched by more than 45 million people around the world, and was National Geographic’s best performing new series launch ever. A brilliant thinker, radical intellectual and proto-feminist, Mary Shelley (1797-1851) brought to life one of the most enduring stories of the modern age while still a teenager. Frankenstein; or the Modern Prometheus is a cautionary tale of unchecked scientific ambition and a sophisticated meditation on social institutions, personal freedom and compassion that has captured imaginations and continues to be relevant since it was first published 200 years ago. Shelley masterfully invented the Science Fiction/Horror genre with her tale of a creature brought to life, subsequently going on to create the Post-Apocalyptic genre with her later novel, The Last Man. Showrunner, executive producer and writer Ken Biller will continue his role overseeing the new season. The third season will also once again hail from From Fox 21 Television Studios, whose recent “The Chi” and “The Assassination of Gianni Versace: American Crime Story” have enthralled critics and audiences, and Imagine Television, the producer of “24” and “Empire” with executive producers Brian Grazer and Ron Howard along with executive producer Francie Calfo and producer Anna Culp. Gigi Pritzker and Rachel Shane are executive producers for MWM Studios and Sam Sokolow and Jeff Cooney are executive producers for EUE/Sokolow. Filming is expected to begin later this year. The first season of GENIUS, starring Geoffrey Rush as Albert Einstein, earned ten Emmy nominations, a Golden Globe nomination and SAG Award nomination, and was hailed as “Joyful to watch” by the Los Angeles Times, “Compelling” by The New York Times, and featuring “Superb performances” according to the San Francisco Chronicle. GENIUS is produced by Fox 21 Television Studios, Imagine Television, MWM Studios, and EUE/Sokolow. What do you think? Are you a fan of the Genius TV series? Do you plan to check out the second and third season of this National Geographic TV show?